In this episode the guys are gearing up for the 30th annual Survivor Series, where Raw and SmackDown LIVE go head-to-head to determine which brand reigns supreme, as well as NXT Takeover: Toronto. Credo & Angry Kuter give their predictions and speculate what’s to come on this huge weekend. Joining us today is Mr. USA himself Tony Atlas. He talks to us about his thoughts on making history with Rocky Johnson, if race is a factor in pro wrestling, his love for art, Legends House & a whole lot more! In this episode the guys are talking bodyguards. From the biggest to the baddest, they run through some of their favorites and most notable ones. Another WWE network special is upon us with No Mercy happening this weekend, Credo & Angry Kuter give their predictions and speculate what’s to come! They also talk about Sasha Banks becoming a 2 time RAW Women’s Champion, Brock Vs Goldberg 2, as well as the end of days for TNA. 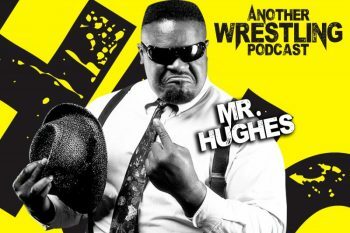 Joining us this week is former WWE superstar Mr. Hughes! He talks to us about his training, working with The Undertaker as well as training the future stars of tomorrow. All this and a whole lot more! In this episode the guys are gearing up for a weekend of wrestling, NXT Takeover 2 & SummerSlam as they give their predictions and speculations of what’s to come. They also dive into the Universal & Grand Championships, Billy Corgan, John Stewart & The Muppets. Joining us this week 1/2 of Cryme Tyme, JTG. He talks to us about being an author, acting, a possible comeback, his time in the WWE & a whole lot more! In this episode the guys celebrate the 5th anniversary of the infamous CM Punk Pipe Bomb! The guys give their thoughts about the infamous day. Did the PB usher in change, and is the WWE better now because of it? They also talk about Rollins and Ambrose exposing Reigns on RAW & Brock Lesnar landing the cover of 2K17! 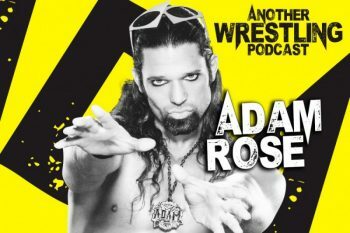 Stopping by off the Exotic Express is former WWE superstar Adam Rose! He talks to us about his name change to Aldo, his time in FCW, Leo Kruger, his main roster handling of Adam Rose & a whole lot more! Don’t be a lemon! Joining us for this Youtube Exclusive is an American retired professional wrestler and football player, a man who set the wrestling world on fire in WWE & WCW. A true legend in the business, Butch Reed!